The hardwood used in this product is FSC (Forest Stewardship Council) certified. FSC Certified wood is harvested from forests that are responsibly managed, socially beneficial, environmentally conscious, and economically viable. 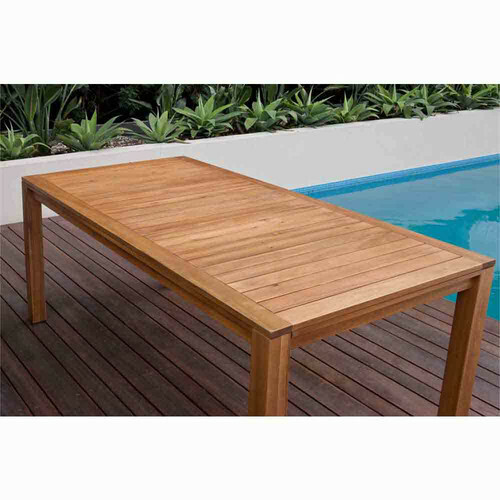 When you buy a Palma Majorca Outdoor Timber Rectangular Table online from Temple & Webster in Australia, we make it as easy as possible for you to find out when your product will be delivered to your home in Melbourne, Sydney or any major city. You can check on a delivery estimate for the Temple & Webster Part #: BRRTBACT here. 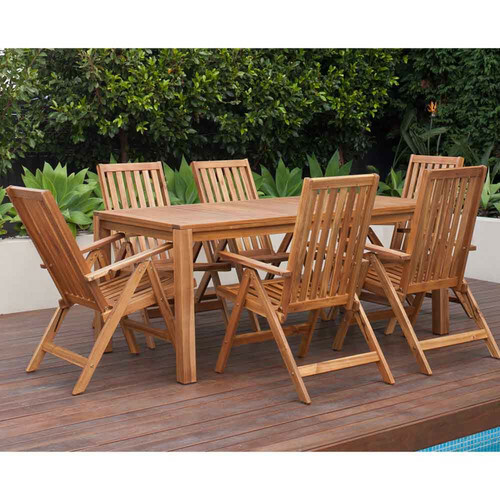 If you have any questions about your purchase or any other Outdoor Tables product for sale our customer service representatives are available to help.Whether you just want to buy a Palma Majorca Outdoor Timber Rectangular Table or shop for your entire home, Temple & Webster has a zillion things home. This came flat packed, it was very easy to assemble and looks fabulous on the patio. We have already shared meals with friends and family around it and are so pleased with this purchase. It seats 8 comfortably - with elbow room! lOVE IT! 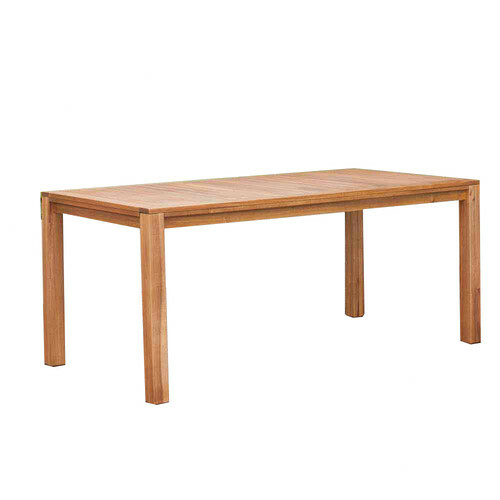 Very smart table and easy to assemble... Bargain!